We know that Douglas Feith was one of the authors of the "Clean Break" paper generated for the Likud party in 1996. We also know that he is law partners with an Israeli settler. What I was not aware of, but which was listed in a previous GIR post, is that his father, Dalck Feith, was active in a territorial maximalist group called "Betar". Betar is a 'revisionist Zionist' group that has youth/campus organizations in the US and UK. Betar - The love of the entire land of Israel. Betar supports the concept of a Jewish state with a Jewish Majority in its biblical-homeland. The entire land of Israel as given to the Jewish people by G-d with it's eternal capital Jerusalem. We therefore wholeheartedly support the settlement of all of Israel including Judea, Samaria, Gaza and the Golan Heights, and support the rights of all Jews to live anywhere in Israel. If you go through the Betar website it is clear this is an extreme organization. One has to wonder if Douglas attended these "camps" as a child? Either way, it is just beyond the pale that a man with these associations went on to become the number three man at the Pentagon in charge of gathering information about Iraq during the build up to the invasion. It would have been difficult to find anyone more bias. We know the results. Feith formed the Office of Special Plans (OSP) which generated the WMD data on Iraq that we now know to be false. This led us to invade Iraq and cost the US hundreds of billions of dollars and seventeen hundred (1700) American lives with no end in sight. Dalck Feith was a militant in Betar, a Zionist youth movement founded by Ze'ev Jabotinsky, an admirer of Mussolini. Betar, whose members wore dark brown uniforms and spouted militaristic slogans modeled after other fascistic movements, was associated with the Revisionist Movement, which evolved in Poland to become the Herut Party, which later became the Likud Party. People would laugh if you tried to pass this off as plausible fiction. Unfortunately, it is reality. Glad to see Betar mentioned. Can you imagine the reaction of Americans if the media ever exposed them to the backgrounds of the Feith's and Wolfowitz's. Betar is truely bizzare...look up some of the extreme statements of Ze'ev Jabotinsky...he and Hitler were two of a kind when it comes to master races. Little known is Betar was very active in Poland and Germany before WWII. They ran camps like the Boy Scouts for the purpose of training jewish boys to take their "place as future Israel leaders" when they got their homeland..had their own uniforms, and did "military" type training...had parades and such. One of the many things that did not sit too well with your average Polish citizen. It was like some of the underground milita groups here in the US except they were very public and in the open about it. I agree, except except that militia groups in the USA are NOTHING like the Zioist group you mention. I am NOT a member of one myself, but unfairly portraying militia groups is doing nothing but playing into the hands of those you appear to despise. Comparing them to Zionists or Hitler is nonsensical. There may be a few fringe types out there, but most I've met are more akin to the OLD Conservatives - NOT the NeoCONs, and certainly NOT like Zionists. They simply fear for their country and want to protect it. Taking swipes at them, or our unofficial border patrol organizations, smacks of a deep lack of understanding of the situation. My mother and father met at a Betar-run summer camp in the summer of 1943. In fact, it was called "Camp Betar". Luckily, they did not remain active with the group in later years, although they remain supporters of Israel. Growing up, I would hear stories from time to time about the camp, which made it sound pretty much like an ordinary summer camp. Only later did I learn how extreme the group was. From what I can tell, my folks did not participate in any militant actions, for them it was mainly a group in their Bronx Jewish community that ran summer camps and other community activities. Yes, they certainly supported the establishment (not yet achieved at the time) of Israel, but, like for some who attended anti-war protests and gatherings in the 1960s, the social aspects were probably more important. For them, at least, but I guess not for all. One of their friends from the group (who they long ago lost touch with), for example, was a boy named "Misha" Ahrens (now known as Moshe), who went on to become the Israeli Defense Minister. I don't know how relevant this really is, but I thought I'd give my take on what mention of the name Betar brings to my mind. Thanks Dan S. Your comments are very interesting. ...Actually I wasn't comparing them in terms of "idealogy"...only in terms of an militia "type" group that had it's own "training operations". I don't think the aims of Betar could in any way be compared to your regular militia groups in the USA. Feith opposed not only the Oslo Accords, but also the Camp David peace agreement between Egypt and Israel. After working for Benjamin Netanyahu on the Clean Break policy paper, Feith broke with him, because he found his policies too moderate. When you consider that in Israel, Netanyahu is generaly considered to the right of Ariel Sharon on the extremist scale, you get a feel for the kind of "f*ing crazy" Feith is. Another clue is his close ties with the far-out Zionist Organization of America, where he was the Guest of Honor at the 100th Anniversary Gala Banquet. 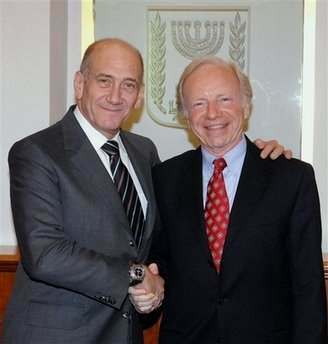 His law firm, Feith and Zell (FANDZ), takes on as clients the "settler" movement in Israel, and also represented that darling of the World Jewish Congress, Marc Rich. "Yet according to Green, in March 1983, Feith, then a Middle East analyst on the National Security Council, was fired by Judge William Clark, who had replaced Richard Allen as national security adviser, because Feith "had been the object of an inquiry into whether he had provided classified material to an official of the Israeli Embassy in Washington" and that the FBI "had opened an inquiry." Former Counterterrorism Chief Vince Cannistraro confirmed that Feith was fired from the NSC for leaking classified data to Israel. In 1982, Feith went to work for Pentagon official Richard Perle, according to Green and confirmed by U.S. intelligence sources." In the 1930s, Betar took its coloration from existing fascist organizations, primarily in Italy but also in Britain, Spain and elsewhere. (The brown shirts, parades, military training, the Fuehrerprinzip etc.) I guess their attitude was something like: "If the goyim can do it, why can't we?" They were certainly lacking in foresight, but it is not true that they represented all Jews, or even most of the Zionist movement.